These are just a few examples of the initial responses I heard when I first started working in tech. There’s an assumption about the sector, more specifically, about the type of people who work in it. That everyone speaks another kind of language, that everyone is constantly working on Matrix style programmes or creating code for some terrifying, dystopian future use (and of course, copious energy drink consumption). I’m ashamed to admit that my view of the tech sector used to be just like that. It was a world so far away from my own (or so I thought) that I never thought I would encounter it. It was a thing that was there but that was it - all well above my head. All that changed at the end of last year when I landed a job with Sunderland Software City; I joined a team of people working in the tech sector, and they were so far from my misconception that it was almost funny. Most of the team openly admit to not having a technical background. They are not ‘techies’ or ‘keyboard warriors’ and despite a mild addiction to diet coke, there wasn’t an energy drink in sight. This might seem like a random tangent, but I think it’s important to talk about. Misconceptions create barriers. I almost didn’t apply for my job because I thought the sector was out of my reach, that I wasn’t the right fit and that I didn’t have enough technical know how. What I’ve found since I started working in the industry is that it is diverse, engaging and full of great people, with a variety of skills, talent and experience. The people I have met come from all kinds of backgrounds. Of course there’s the technical experts, but the roles that need the softer skills, that need creative, people and management skills exist too. The ‘techy’ stuff can’t happen without the softer skills that roles like events coordinators, operations managers, finance teams and so on bring to the table. We all know that there is a skills gap in the industry, so we have to ask: is there a way that we can help to break down these stereotypes? There’s an amazing movement in schools and colleges with more diverse courses and training schemes available, and awareness raising events (think Go Reboot and Work Discovery Week, just to highlight a couple) that help and break down that barrier at an earlier stage. But what about the tech companies that need those roles filling now. How can we do more to open the sector to those, like me, who think it’s out of their reach? I don’t have an answer - it’s something that’s going to take time, but I wonder if you can help? As a small attempt to shift the stereotypes, I’ll be taking pictures to share on Twitter of the things that my job entails that aren’t typically techy (think your meeting notes that are on actual, old school paper rather than an iPad, or grabbing a coffee to chat about a new idea, or even a pint at the most recent networking event!). I’ll be using the hashtag #whattechlookslike, trying to break down the barriers to show the reality behind the greatest sector there is! Hopefully, I’ll be able to bring these pictures together to show to the schools and colleges that we work with, to really demonstrate the diversity and opportunities the sector has. And if you have vacancies that need filling, why not get in touch with us to find out more about Tech Talent 2018 - it’s going to be bigger and better than ever, and as the only tech focused opportunities fair in the North East, it’d be rude not grab a stand! 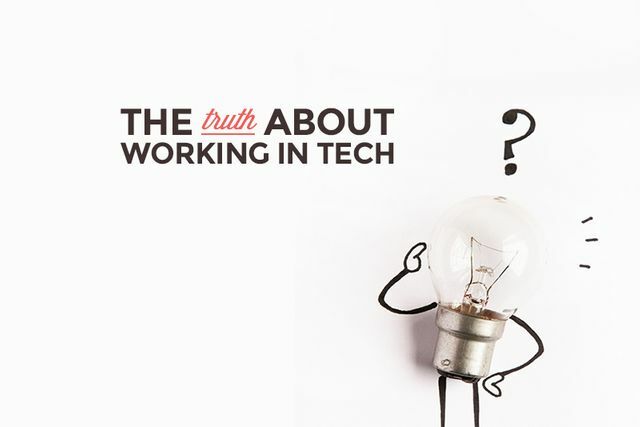 When it comes to working in tech, there are a lot of misconceptions. Some people think it’s like a closed-door community, where only certain folks can make it. Follow 215 talented women in tech!